'57 Biscayne has you covered! 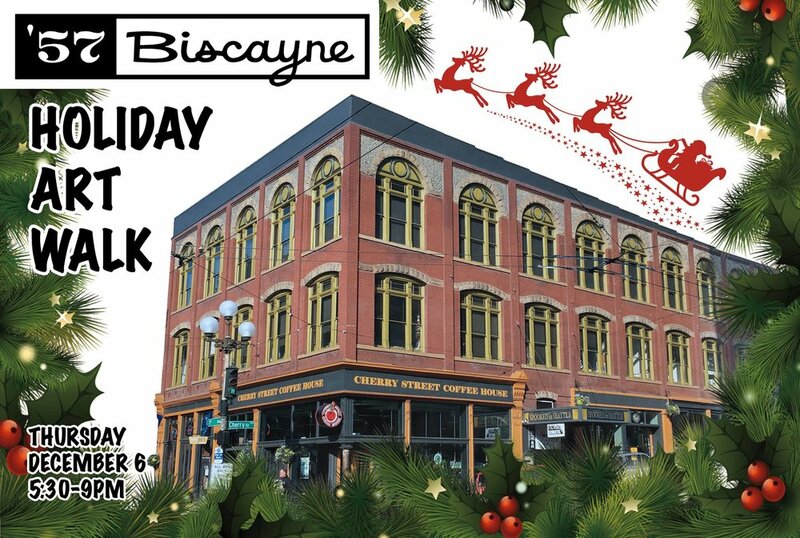 From 5:30 p.m. to 9 p.m. on Thursday, Dec. 6, ’57 Biscayne, the artist collective located on the second and third floors of the historic Good Arts Building, 110 Cherry St. in Pioneer Square, will host its annual Holiday Extravaganza. Shop local for handmade jewelry, paintings, prints, tintype photos, ornaments, hats and handbags, much of it made on site– like Santa’s elves, only for adults. Downstairs, there are more art studios, a vintage boutique, a spot for coffee to keep shoppers energized and a cocktail bar for holiday cheer.